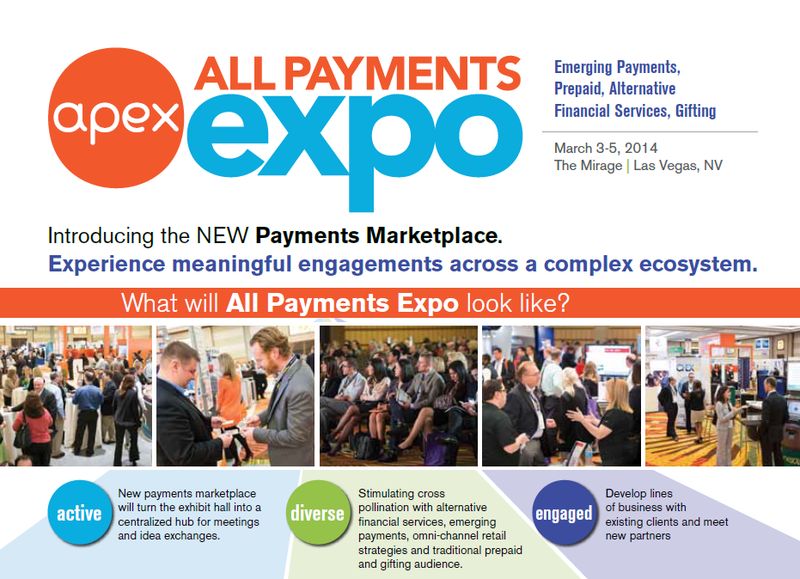 The longest-running event in prepaid is unveiling a new name and evolved mission: All Payments Expo (APEX), the NEW home for Prepaid Expo attendees, plans to stimulate cross pollination between prepaid and new and alternative players who are innovating payments, gifting and omni-channel retail strategies. The mission: catalyze the partnerships that are necessary to build the next generation of innovative payments, from the mobile environment to the brick-and-mortar POS. Since the Expo’s beginnings nearly a decade ago, prepaid has pushed the boundaries of what payments can do – and in the process, evolved way past simple stored value. It’s been an exciting journey to see prepaid move from the fringes to the mainstream, thanks to the growing sophistication of gifting, payroll and GPR. And as technology has fueled innovation in financial services and retail, prepaid’s flexibility has lent itself as a building block for new innovations, including hybrid products, social gamification, PFM platforms, cash infusions in the mobile wallet, and more. GPR has evolved into alternative financial services; gifting has blossomed as an integral part of Omnichannel retail strategy; and emerging payments are, naturally, impacting the entire ecosystem. As technology advances, margins tighten and competition heats up, the prepaid business is changing, and All Payments Expo (APEX) will be focused on helping attendees map the evolution of their businesses. Our loyal attendees will be able to meet with their existing partners, customers and clients – but there will be a lot of new faces, and new potential partners, too. Here’s a snapshot of how Prepaid Expo has evolved: And a window into how the industry has changed, too. Focuses: Alternative Financial Services, Omnichannel Retail Strategy, Emerging Payments, Prepaid, Gifting, PFM, Healthcare Reform, Cash-Based Innovations, mPOS, Future of Interchange, Gamification, APIs, Loyalty, the Wallet and MORE. If you’re in prepaid, your business is changing rapidly. 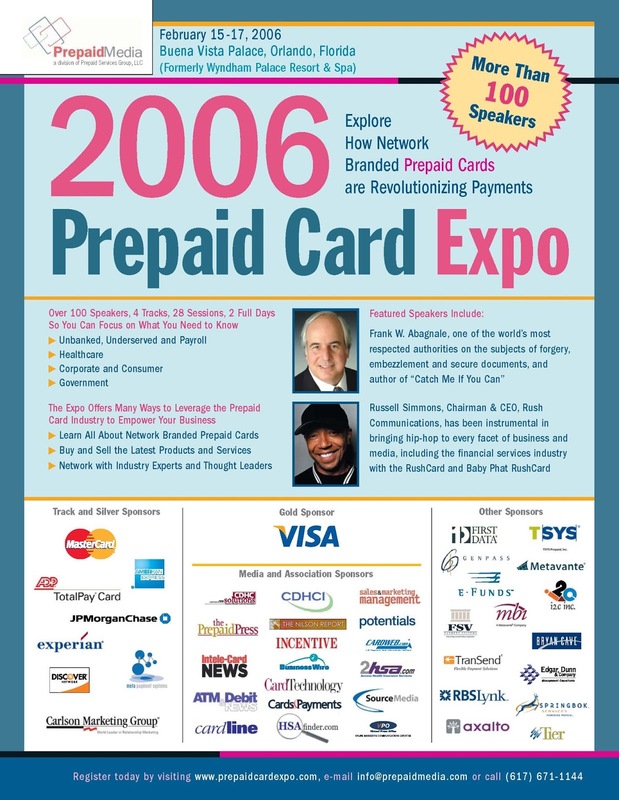 So too, is the longest-running event built for the prepaid industry. See you in Vegas! And by the way – we are already building out our agenda and speaker faculty for the 2014 event. If you’d like to get involved or speak, please contact Diana Middleton at dmiddleton@iirusa.com.